The Trump administration announced the U.S. will impose financial sanctions on Venezuelan President Nicolas Maduro. The Treasury Department's Office of Foreign Assets Control announced the sanctions against Maduro in a brief statement on Monday, a day after the Venezuelan vote to elect a constituent assembly that will rewrite the constitution. "Yesterday's illegitimate elections confirm that Maduro is a dictator who disregards the will of the Venezuelan people. By sanctioning Maduro, the United States makes clear our opposition to the politics of his regime and our support for the people of Venezuela who seek to return their country to a full and prosperous democracy," said Treasury Secretary Steve Mnuchin in a statement. As a result of the sanctions, the statement read, "all assets of Maduro are now subject to U.S. jurisdiction are frozen and all U.S. persons are prohibited from dealing with him." At Monday's White House press briefing, National Security Adviser H.R. McMaster read a statement from President Trump regarding the new sanctions. Mr. Trump condemned the Maduro regime's refusal to heed the Venezueulan constitution by carrying out a "sham election." "This outrageous seizure of absolute power through a sham election represents a serious blow to democracy in our hemisphere," McMaster said. He added that Maduro "is not just a bad leader -- he is now a dictator." "The United States stands with people of Venezuela in face of this oppression," he said. Mnuchin also weighed in, saying, "We very much believe sanctions do work and will continue to monitor this situation and consider additional sanctions." "All options are on the table and we'll consider everything," Mnuchin added. "Our objective is not to do anything that hurts the people of Venezuela." 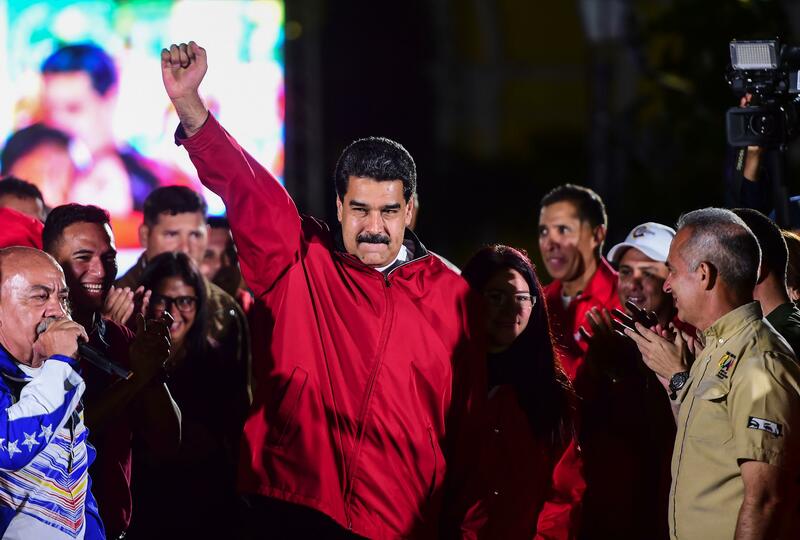 The administration imposed sanctions on more than a dozen senior current and former Venezuelan officials last week, warning the socialist government that new penalties would come if Maduro went ahead with Sunday's election for the assembly.